Hang on. Your Live It adventure is about to begin. Saddle up for an epic cross-country adventure you won’t forget as a personal trainer leads a team on a life-defining journey. Few books will haunt you and redefine your existence. Let it course through your veins with a story of humble beginnings, a broken marriage, an old bike and a dream. Taking readers to the edge of exhaustion on a precipice of raw beauty, this cast of characters includes selfless Navajo Indians, unsung heroes of military sacrifice, and middle-class Americans who opened their homes and checkbooks to a band of strangers. This is the chance to consume a book that will resonate for years. 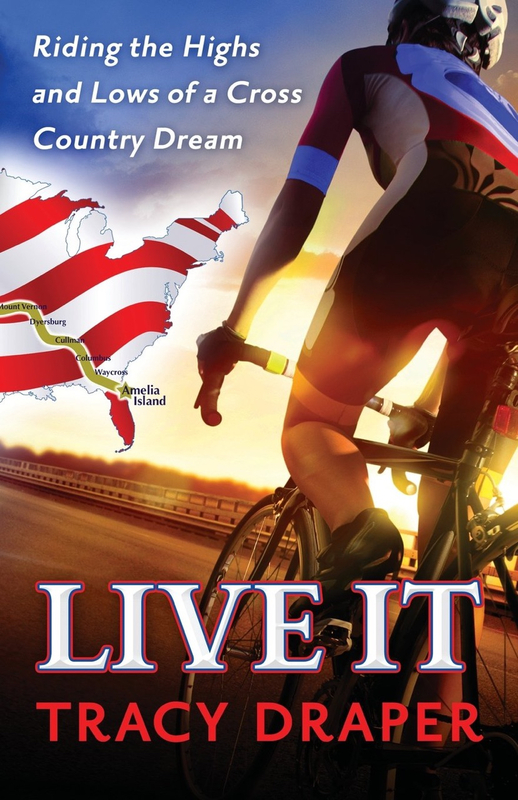 Order your copy of Live It today! Signed soft -cover copies can be purchased directly through Tracy. Contact her at TrainingWithTracy@gmail.com for your signed copy. You can also order through Amazon for hard or soft-cover copies (unsigned). PayPal and major credit cards accepted. Cost includes tax and shipping in the USA.